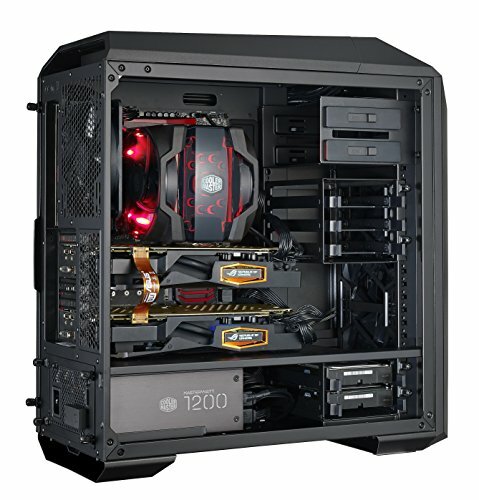 $3281.40+ My 2nd computer build. Lightroom and Photoshop rig for 2018 and beyond. I am very pleased with this case. It is very solid construction with clever little touches such as retained thumb screws (thereby pleasing Dmitri at Hardware Canucks) so you don't lose them plus the retention of the side panel until you lift it away really adds to the premium feel of the case. The carrying handles at the top are very, very useful when building with this case as you turn it around frequently to put the parts in and manage the cables etc. 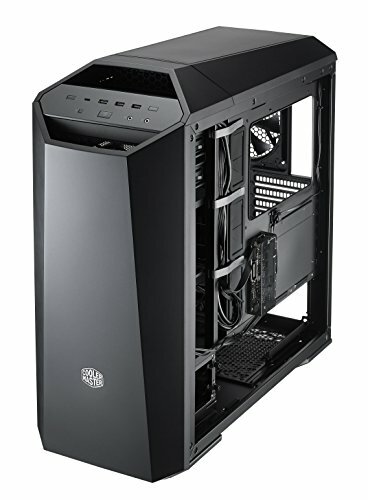 I've deducted one star because I believe it needs better cable management and maybe half an inch to an inch more space behind the motherboard tray for cables to run as it gets quite compressed back there. If they found a way of stopping the cables interfering with putting the side panel back on that would be grand too! A raised metal bit that cables would press up against instead of the actual bit you put the side panel on would prevent any issues. I say this because my SATA power cables get a bit crushed for my HDD's when putting the side panel. 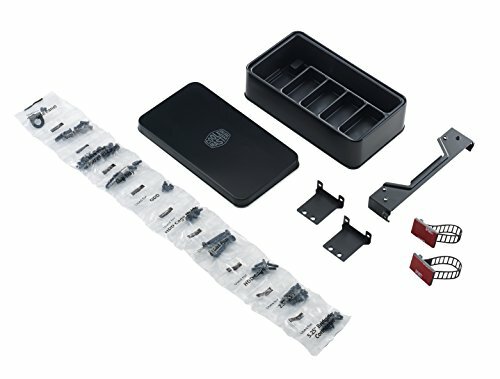 I would like more lighting options to be available to purchase to connect to the fan and lighting controller, and it is a shame the fan controller doesn't link to the motherboard for PWM control. 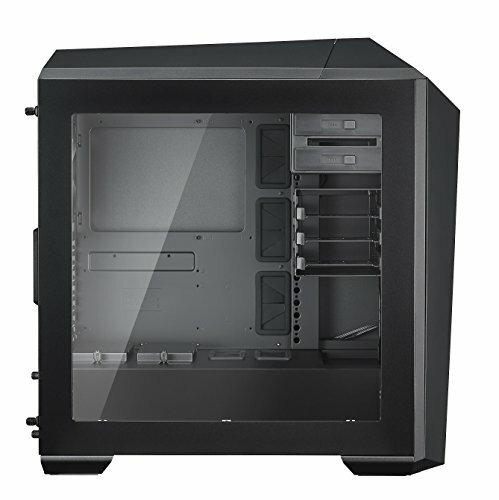 The case offers a host of SSD storage with two SSD mounts on the back of the motherboard tray and two on top of the PSU shroud. They can also go in the HDD cages. 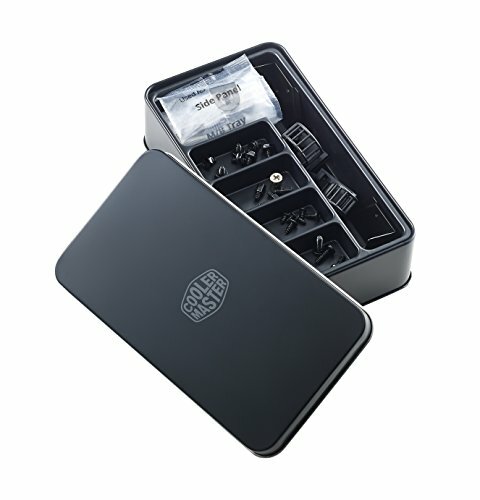 You can buy additional SSD pockets from the Cooler Master online store at about £5 a pop. 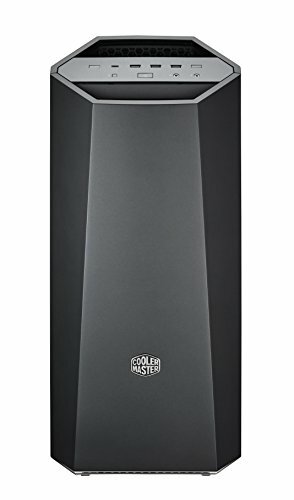 An additional note is that you can upgrade to this from a Master Case 5 or a Master Case Pro 5 by buying the upgrade kit direct from Cooler Master. Its what I did. 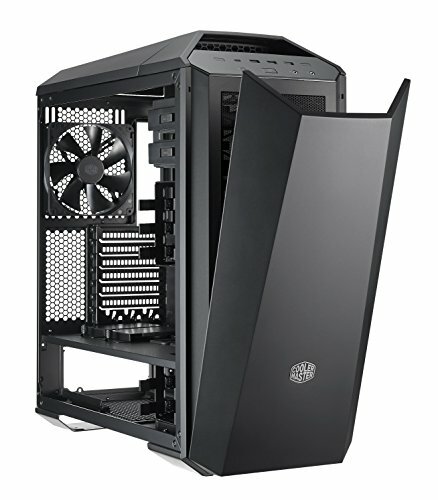 Finally, you can get a 280mm radiator top mounted in this but it requires having the fans on top and getting it perfectly aligned to screw through the fans to the radiator to secure it, can be tricky. Finally, finally, the HDD cage under the shroud can be moved back enough to a different position in order to accommodate a front mounted radiator. P.S. The 3 drive cage above the shroud and the optical drive bay bracket can be completely removed. 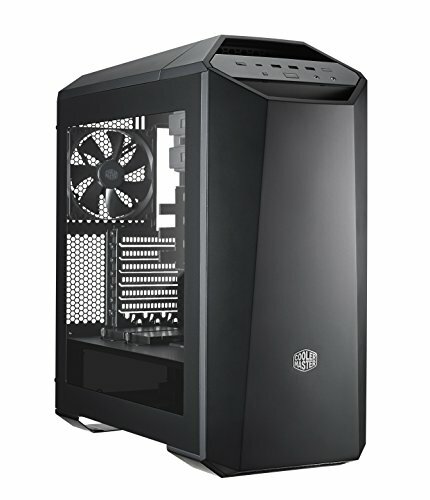 Can take three fans at the front, one at rear and two at top, 140mm or 120mm. Really good, roomy case. Is on amazon even though they dont show it. Has some nice holes in the back for easy cable management. Theres room on the top and sides for if you want to mount a radiator, and plenty of space even with my GTX 1080. Even If you plan on running something like 2 way SLI, you wont have problems with space. I am so glad I sprung for a more expensive case this time. I've had multiple other cases before, but the Maker 5 really blew me away. Was a little difficult to get the back screws of the first time, but no problems whatsoever afterwards. I LOVE having all this room, and it's inspired me to do a little more cable management. 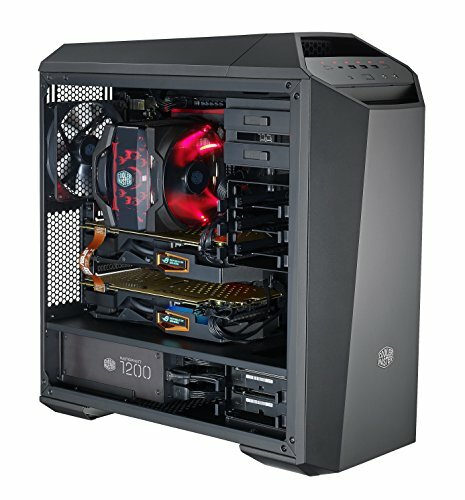 Absolutely would recommend to anyone looking for a stylish, large case that morphs exactly to your needs. And it includes a free lighting bar! Wish it came in other colors than just red, but beggars can't be choosers. Just a tip: make sure to plug in a SATA power cable to the controller unit around back. Couldn't figure out why the lights weren't working at first! Building on this case was interesting and satisfying experiences, very easy to work on. The MasterCase Maker 5 was a dream to work in, even if it wasn't wasn't meant for an EATX board. Careful planning with cable management made it to where you'd never know though. 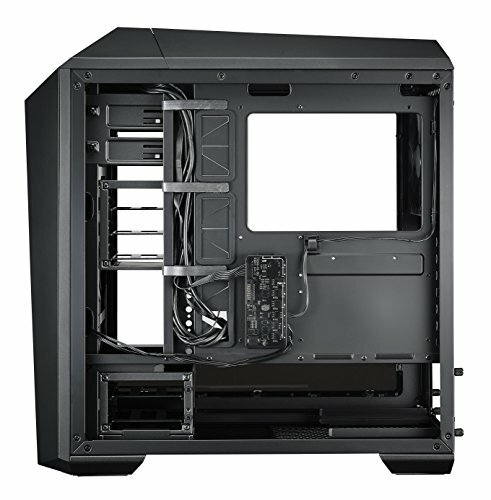 Airflow in the system is great, I pulled the system out of the Corsair full tower it was in and immediately saw about 5-7 degree difference with less fans. This guy is whisper quiet as well. from completed build My 2nd computer build. Lightroom and Photoshop rig for 2018 and beyond. Such a please to build in. Plus it looks great. 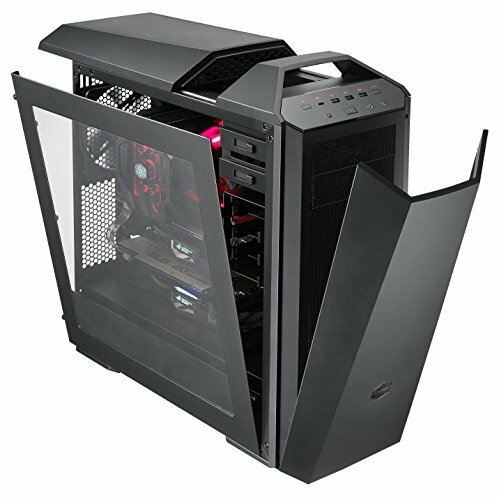 Great looking case IMO with good features that I am able to utilize. I chose it for the looks and build quality and it did not disappoint.